Perfect as a stocking filler or a festive treat for all the family, these Fairtrade milk chocolate santa shapes are handmade using organic and natural ingredients. For allergens see ingredients in bold. May contain soya. Made in a kitchen where nuts, wheat flour, oats, eggs and sesame seeds are used. 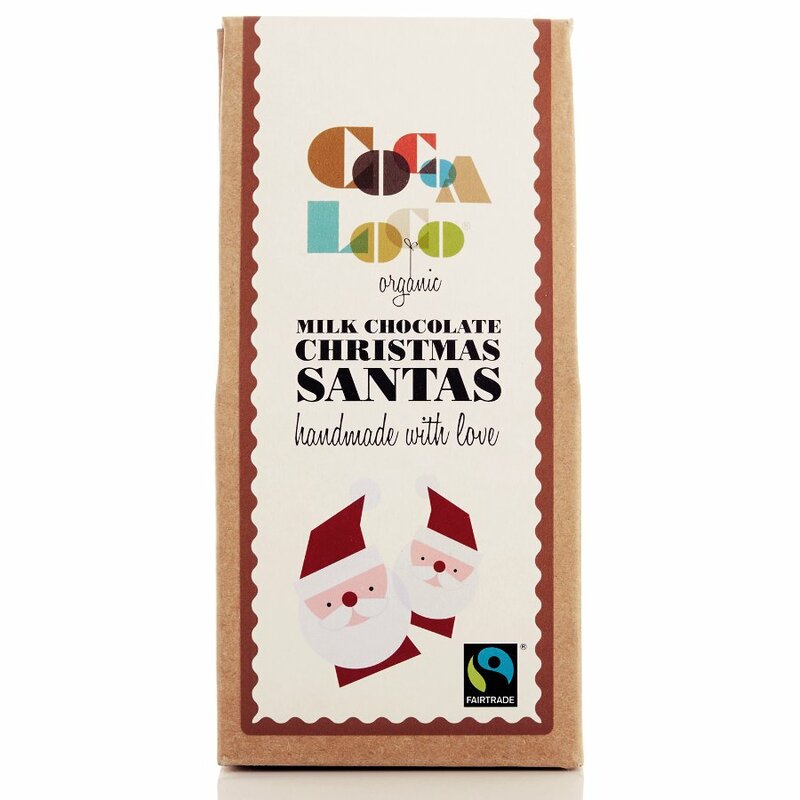 The Cocoa Loco Milk Chocolate Santas - 100g product ethics are indicated below. To learn more about these product ethics and to see related products, follow the links below. 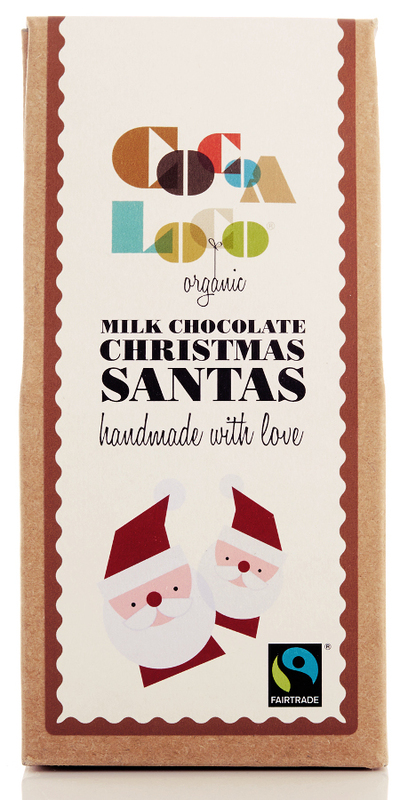 There are currently no questions to display about Cocoa Loco Milk Chocolate Santas - 100g.